Here’s a shot of a huge ship at the old port in old Mon­treal at night. 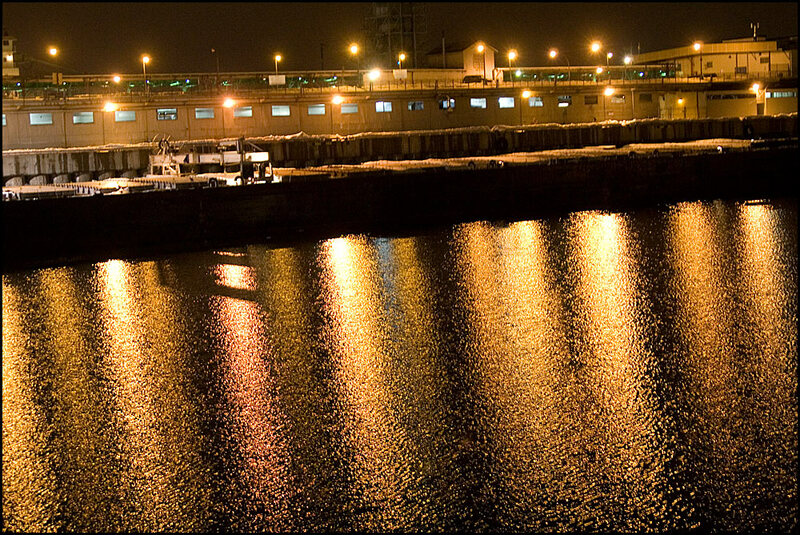 It was of course the lights and their reflec­tions on the water that made this shot inter­est­ing for me. I nor­mally don’t shoot hand­held at slower than 1/30th of a sec­ond and this shot was taken at 1/15.‚ Exif data F2.8, ‚1/15 at ISO 1600. You can click the image to make it tastier on the eyes. I agree with the pre­vi­ous com­ment the water looks amaz­ing. You’ve inspired me to head to old Mon­treal this week­end, weather permitting. Exce­lent tex­ture on the water, beautiful!